Lal Meri takes its name from an ancient Sufi folk song, part of a mystical tradition that helped to expand the reach of Islam around the world in centuries past. Ecstatic, transcendental Sufi art forms were used to draw people in through direct experience, bypassing dogma and authoritarianism. And, in a sense, that's just what this unusual trio is all about — unifying listeners of different cultures, beliefs and aesthetics with an irresistibly seductive sound. They produce a seductive mix of music meant to heal the human spirit. The LA-based trio based their name on a Hindi term that encourages people to smile through good times and bad and will bring those positive vibes to Morning Becomes Eclectic. Very soulful and spiritual track “Dreams of 18” moves one to different world. Lal Meri feat. Carmen Rizzo - Bad Things (Morgan Page Clean Remix) Amazing Remix!! “Give your Light”…Beautiful song with great sync and tune. Very Nice track “Take me as I am” good experiment of sounds with instrumentation. Eastern mysticism and pop music have been cross-pollinating since at least The classic band Beatles. In recent years, dance-friendly club mixes rich with sounds from India, Iran and the Arab world have become a cottage industry. Lal Meri certainly draws from globalista techno-pop, but Nancy Kaye's languid vocals, mostly in English, become a powerful focus. Poetry and form are as important here as atmosphere and groove. Lal Meri is the work of three self-described "headstrong producers," who come together under the potentially insipid banner of, "Why can't we be together as one?" It's an endeavor that risks dissolving into a well-meaning muddle. Layers of droning vocals and jangling strings swirl together within grooves that range from a lazy lope to lashing club beats. But the best songs always coalesce around Kaye's charismatic vocals. For all the high concept and technical finesse here, these are essentially pop songs, with verses, choruses and elegant vocal hooks — not so far from The Beatles after all. I have no words to write about this living legend but why I am writing about her because her music is divulged in the roots of my musical mind. Seeing the current musicians and the listeners, I am really sad and forced to remind them these kind of golden singers. She is still followed by only those people who are very good listeners and great musicians. I still remember that in early 90's my uncle, A Great Musicologist, late Pt. R. C. Bhatt (Ex-Deputy Director General-AIR) introduced me to this great artist’s music. He was gifted few cassettes of her ghazal album "INTEZAAR" by Madhurani ji herself. One day seeing my great passion for ghazals, uncle gave me the cassette to listen it. 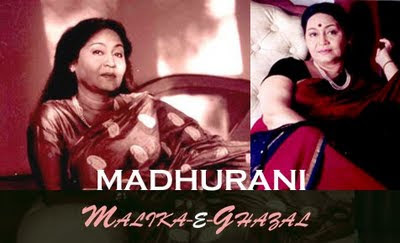 My uncle was big fan of her singing and used to say “MADHURANI JI’ S MUSIC IS AN ADDICTION TO A GOOD LISTENER OF GHAZALS.” After listening her first time, I was totally lost in her singing and became a huge fan of her. Seriously she is incomparable. 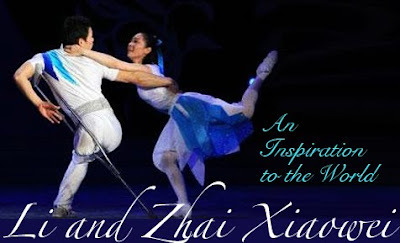 An unexpected pair of dazzling New Star Dancer.."Ma Li and Zhai Xiaowei" Teaching to the World "Strength and Perseverance"
The girl (Ma, Li) was a beautiful promising professional ballerina when she lost her right arm in a car accident in 1996. She was only 19. Her handsome boy friend walked away from her. She tried to kill herself only to be saved by her parents. Her love for her parents gave her the strength to live. She learned how to live her life independently. She learned how to write Chinese beautifully and how to do many things including combing her hair, which she had to cut short from the waist-length to shoulder-length. She learned to cook and to wash clothes ... In a few months she opened her small bookstore. Five years later in 2001, she was invited to compete at the 5th national special performing art competition for handicaps and won the gold medal. That success gave her the hope to return to her beloved stage. Shrey Singhal! 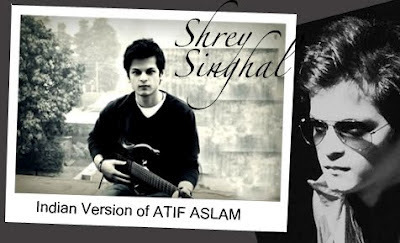 !...Next Atif Aslam In Making!! I was browsing something on youtube and found this guy Shrey Singhal randomly. When I listened this guy then I couldn't believe that this was his voice because his voice was 95% matching with Atif Aslam's voice. Although I never appreciate the copy of anything yet I liked this guy's work because he is too young and being a fan of Atif he is making his effort in his own ways. I don't have much information about him but this guy is from Faridabad city and gradually creating magical waves through his work at this young age. Adesh has inborn music passion in his blood and his ears are perfectly tuned. He has an excellent sense of listening all kind of genre in music with deep analysis. He belongs to a musical family "Khurja Gharana" and grown up in the pure musical environment since childhood. His uncle late Pt. Shri R.C Bhatt was Ex-DDG-Cheif Producer of Music, AIR and also known as the great musicologist among the all classical exponents in indian music industry. Being disciple of classical legend Ustad Altaf Hussain Khan sahab of Khurja Gharana School, His uncle was the only person who kept Khurja Gharana" alive in tradition. He represented and introduced it worldwide which was known by very few people. Now this is represented by Adesh's father Shri Subhash Bhatt who is also a "A" Grade artist of Light music on AIR and has been singing and performing for the last 40 years(Since 1970). Adesh says "Music is my passion and my life. I am not gonna write anything about daily music or bollywood music. The objective behind writing this blog is to introduce rare, new upcoming or hidden talent-artist which is not common. I surely believe what you guys will find here, it will be very precious and unique :)"